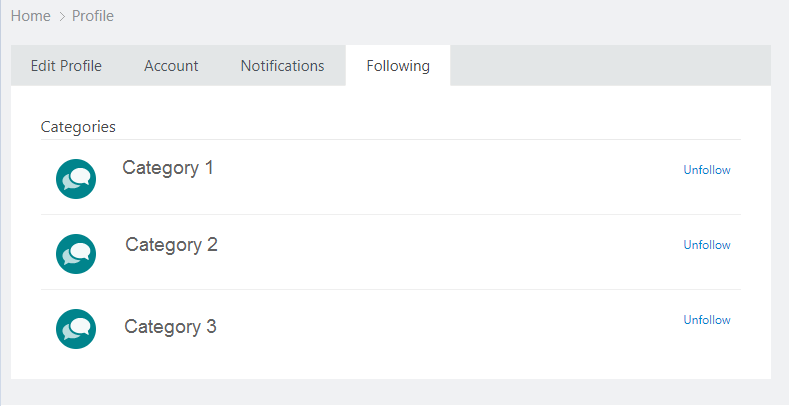 It looks like users are able to unfollow categories when reviewing their profiles, which is great. 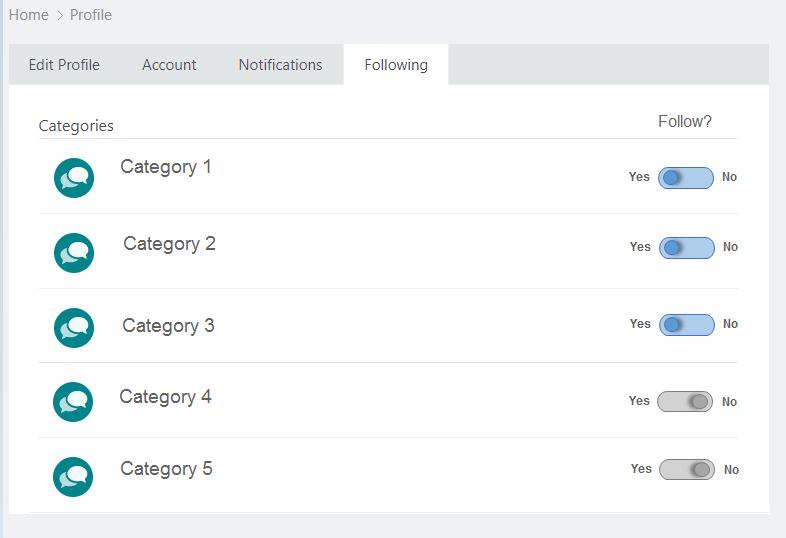 However, it would be nice if there was an option for users to select the categories they want to follow as well from that page. Maybe just add follow buttons for categories folks aren't currently following or use a matrix of sliders. 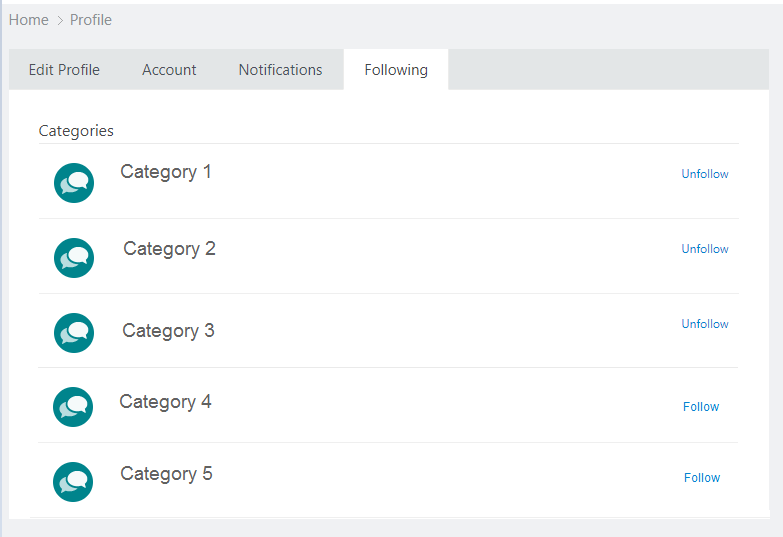 That would allow users to select their preferences quickly, without having to navigate to multiple category pages. This would be extremely helpful for new users, who have to configure their settings and profiles quickly. Having access to everything in one place would mean a lot more people would choose to follow topics (thus increased engagement).